For many condominium and homeowners’ associations, 2019 will be a year to consider long overdue construction projects. The 2018 legislature made it clear to condominium associations that if the project resulted in a modification of the common elements, a prior vote of approval by the membership is required. Also, some projects will require bids per statute, while most associations will attempt to seek bids as a matter of good business practice. Unfortunately, the construction industry is dealing with a labor shortage that may result in fewer contractors willing to bid on your project and many contractors seeking an “up front” payment in the form of a “deposit”. Anyone seeking construction services in today’s expansionary period knows well that contractors are in high demand, and are taking liberties with respect to what they can require as a condition to entering into a construction contract. There is no doubt that contractors have taken advantage of the lack of supply and the high demands for construction work. In that regard, the demand for payment of initial deposits has resurfaced as a reoccurring theme. The last time the construction industry experienced a boom, contractors were asking for advance payments for everything from materials to excessive and increasing labor costs. Associations, often times, plagued with little options, have succumb to the contractors’ demands for deposits. Although, deposits, that are often well planned and based on logical procedural requirements, they can be minimized as a risk to the association, deposits are still nonetheless susceptible to difficulties. In the context of a condominium or homeowner association, the issues with deposits are no different. As practitioners who represent such entities, we have seen a significant uptick in the demand for deposits. Often times, the deposits are substantial demands, seeking upwards of prepayment of 20% of the contract sum. When contracts are in the hundreds of thousands of dollars, this could mean significant upfront cash that is given to a contractor with little to no protections often being provided in exchange. Such unprotected at risk spending can lead to difficulties. Often times, it is difficult for an association to know whether or not a contractor is financially solvent. Even in the most expansive and lucrative economies, there are still contractors who have managed to fail in their ability to control the purse, and often fall prey to needing cash from one project to pay another. Quite often, associations negotiating with such contractors have no idea of the financial straits of the contractor, and are prone to agree to such deposits without appreciating the risk. Unfortunately, once funding for a deposit is provided to an insolvent contractor, there is typically little recourse or means of recovering those funds from the insolvent contractor. Unless the association implements certain guidelines protecting such deposits, the associations can often find themselves having to pay twice for such work. The payment of advance deposits also place havoc with associations’ obligations to make proper payments under the Florida Construction Lien Law. 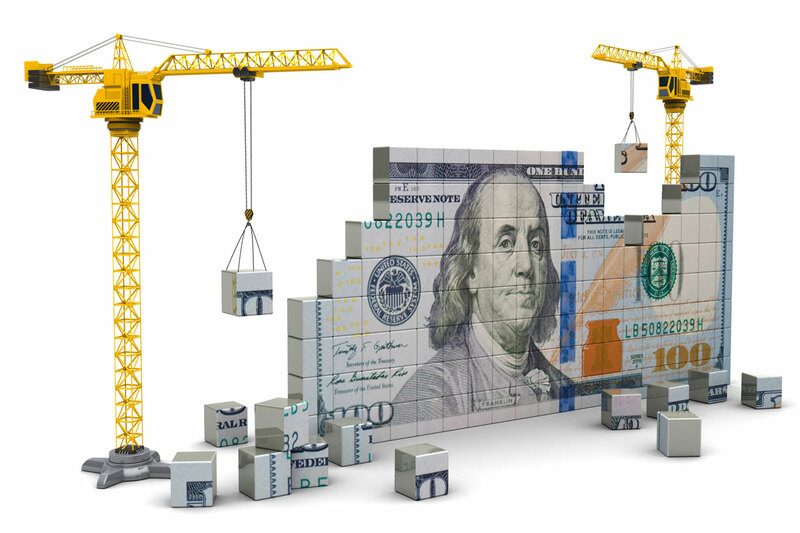 Although the Lien Law does not specifically address the issue of deposits, the Lien Law does impose certain obligations on associations to assure payment to those subcontractors who may have performed work and improvements on the associations’ property, under a general contractor. In those cases, where a subcontractor issues its Notice to Owner, the contractor has obligations to assure payment is made to the subcontractor while making payments to its general contractor. In the case of a deposit, the association has no idea who the subcontractors may be who are looking toward the contractor and the associations’ payments for funding. When deposits are issued preliminarily on a project, the association has no idea which subcontractors will be performing the work, and how to protect those funds from not being absconded from the subcontractors. Hence, there may be certain circumstances where the issuance of a deposit violates the association’s obligation to see that the subcontractors are paid, and may open the door to the association having to pay twice for the same work. Often times, associations need to use the power of the purse to control the contractor and to bring about compliance with the construction contract. However, in situations where a substantial deposit is issued, the association’s leverage is eroded by the amount that it pays over and above the value of work in place. As a result, a deposit typically represents an initial overpayment to the contractor. As more and more cash is provided to the contractor, the contractor gains leverage over the association. This is a situation an association must avoid, as the association’s control over the purse is the primary power an association has over the contractor. Therefore, a substantial deposit at the beginning of the project could essentially prevent an association from having the leverage needed to bring about compliance by the contractor at the end of the project. The foregoing does not mean that deposits are completely out of the question. Deposits can be managed, as long as the use of those deposits are memorialized in the parties’ contract. 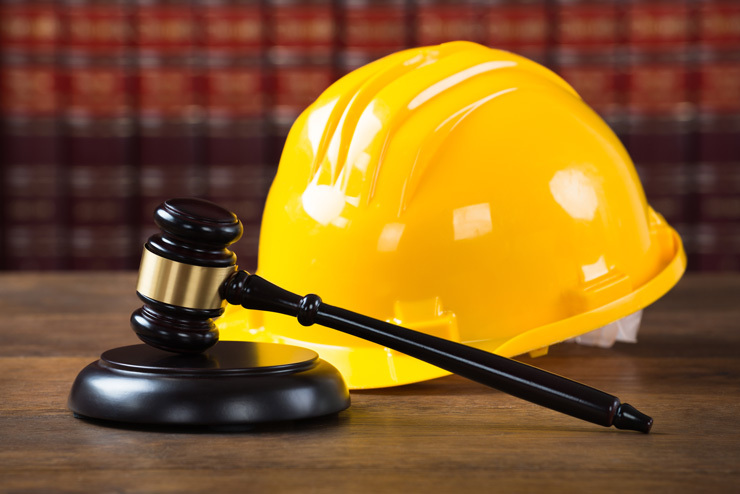 Often times, construction attorneys add provisions that specifically address how the deposits will be used and accounted for. In such cases, the deposits could be earmarked to be used strictly for the payment of advance material purchases. In those circumstances, the contract can dictate specific procedures on how the contractor contracts for the materials, while the association makes direct payment to the supplier. This type of arrangement alleviates any concerns of liens or suppliers not being paid, and provides the association assurances that once the payment are paid, the materials are owned by the association and therefore liens are of no further concern. The issue becomes more complicated when the contractor seeks a deposit for advance manpower costs or similar expenses. Since manpower is a much more nebulous issue for the association to oversee, it is advisable that the association does not agree to such advance payments, as there are few means of effectively controlling same. Notwithstanding the above, there are means other than deposits to relieve the contractor’s concern of being the bank. Mobilization line items in a schedule of values in the contract can provide the interim relief that contractors seek. In some cases, construction contracts allow a more frequent submission of applications for payment at the early stages of the project, so as to compensate the contractor for upfront costs. Such costs can be compiled in a mobilization line item. Notwithstanding, there should be some limits as to the amounts that will be paid for mobilization, and they should be somewhat aligned with the expenditure of the materials or labor that is being protected. In conclusion, deposits may be a part of our present reality when dealing with construction contracts. Although, deposits are fraught with risk, there are means to control that risk. An association that is confronted with a demand for a sizable deposit, should contact its construction attorney for advice so that the procedures to protect the association are incorporated in the association’s contract with the contractor. Absent taking such safeguards, an association could expose itself to significant risk, some of which may cause the association to pay twice for the same work, and other events that may cause a complete forfeiture of deposits if provided to insolvent contractors. The Federal Fair Housing Act (42 U.S.C. §§3601-3619) and the regulations promulgated thereunder require ‘housing providers,’ – including entities such as condominium or homeowners associations to make reasonable accommodations to disabled persons in rules, policies, practices or services when such accommodations may be necessary to afford a person with a disability the equal opportunities to use and enjoy a dwelling. Florida’s version of the Fair Housing Act, Section 760.23, Florida Statutes, similarly requires accommodations for disabled persons. Decisions of federal and state courts in interpreting the Federal Fair Housing Law and Florida’s Fair Housing laws have held that in certain instances housing providers, including a condominium or homeowners association, must accommodate those with a legitimate physical or emotional disability requiring the support or assistance of an animal. Notwithstanding, simply providing a note from a nurse practitioner or a letter and certificate purchased from the Internet, stating that the dog is an emotional support animal does not provide the governing body of a condominium or a homeowners association the reasonable opportunity to establish that the resident suffers from a disability defined by law; and further, that the applicant requires the physical assistance or emotional support of a dog to reasonably accommodate his or her disability. Thus, in this instance, it likely would not be unreasonable for the association to carefully request additional information to allow its governing body to evaluate the reasonableness of the request. The courts and agencies have required that the housing provider open a “dialogue” to allow for a meaningful review of the request. For example, the association may reasonably request that the resident provide a statement from a medical professional explaining that the requesting party: (a) has a physical or mental impairment (b) explains which major life activities are substantially impaired by the disability or handicap; (c) a description of the accommodation requested; (d) and an explanation of how the accommodation alleviates or mitigates the disability or handicap. If, upon receipt of such additional information, the association concludes that the resident is disabled under the law and that the emotional support of the identified animal is reasonably necessary to accommodate the disability, then approval of the accommodation is required by law. Where an accommodation is required by law, the resident is still required to maintain the animal in accordance with existing rules and regulations; which among other requirements often include, that residents permit no activity that creates a nuisance or annoyance to other residents. Such rules require to take all actions necessary to prevent the animal from making a noise that may unreasonably annoy or disturb the peace of neighboring residents. 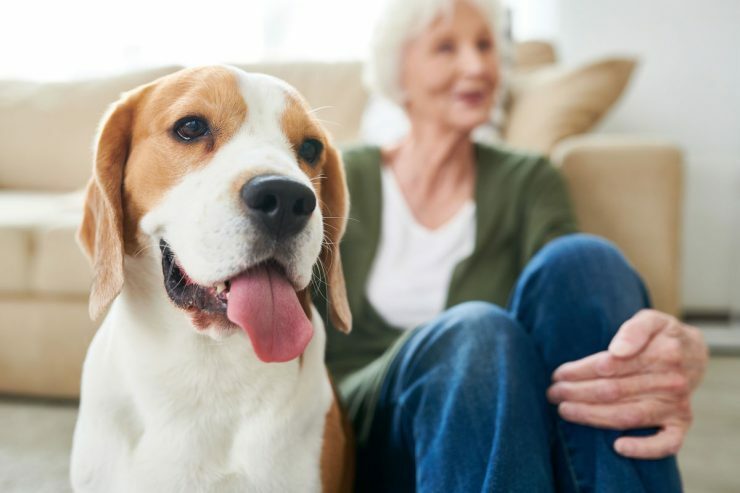 Keep in mind that where an accommodation is required to be made by law, the animal is not considered a “pet.” Rather, it is an animal that the resident is entitled to have per the law for the physical assistance or emotional support for the disability that the resident is afflicted with. Therefore, the governing board of a community association should always seek the advice of legal counsel before denying the request of a resident for an emotional support animal. The association’s legal counsel is best suited to advise and assist the governing board with the implementation of appropriate procedures should the board receive such a request. Other than possibly insurance, the largest single expense for many associations is the cost of bulk telecommunication service. 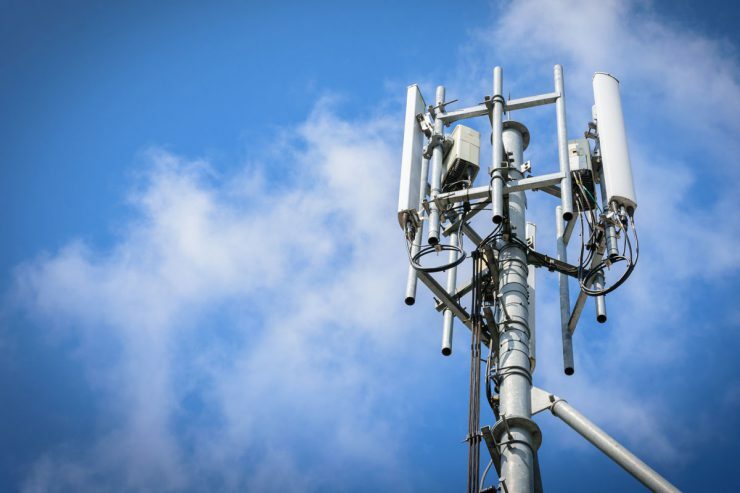 Further, bulk telecommunication service agreements often have multi-year terms, some even going as long as ten years. Therefore, whether your association has a bulk telecommunications agreement or is looking at entering into a bulk telecommunications agreement, there are a number of legal and practical issues that the association should consider in moving forward with such a decision. Further, both statutes also contemplate that the cost for services pursuant to the bulk agreement be allocated on a per unit basis rather than on a percentage basis if there is other than equal sharing of common expenses contemplated in the documents. If your association allocates expenses on something other than an equal per unit basis, you would want to review the allocation of the expenses of the bulk services agreement carefully. How the distribution system is defined and who will own the wiring once the agreement is concluded. 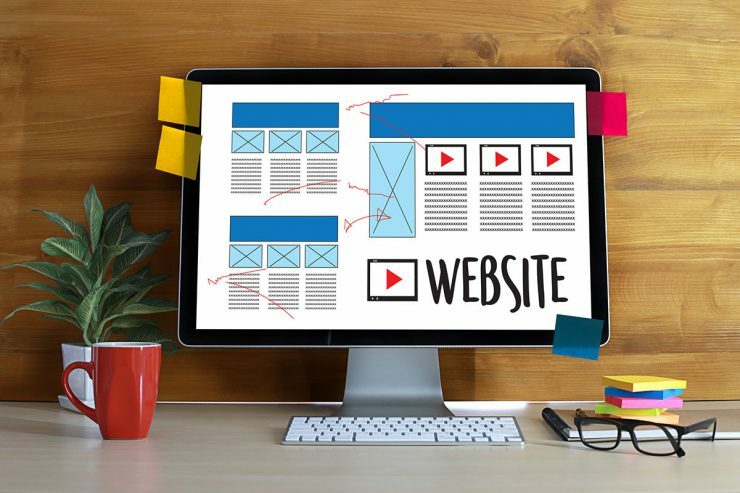 What type of work will the provider have to do within the community to provide the service, whether excavation or other construction will be necessary and what protections are in place for the association and its members? If the provider is using subcontractors to install portions of the distribution system that the association and the owners are protected from any liens recorded by suppliers or subcontractors. What type of insurance does the provider carry and whether that insurance protects the association? What is the term of the agreement, how term is determined and is the termination date of the agreement apparent on the face of the agreement? What are the service standards that the provider must meet and how is the association protected if the provider fails to meet those standards? What type of easement must the association give the provider and does that easement interfere with any third parties’ existing rights? Are the association’s damages against the provider limited in the event a provider breaches the agreement or fails to provide the services that are contemplated? These are just a few of the issues that the association must address in negotiating a bulk services agreement. Any time an association is considering entering into a new bulk agreement, it should review that agreement carefully and seek appropriate guidance from its attorneys, accountants and insurance agents. 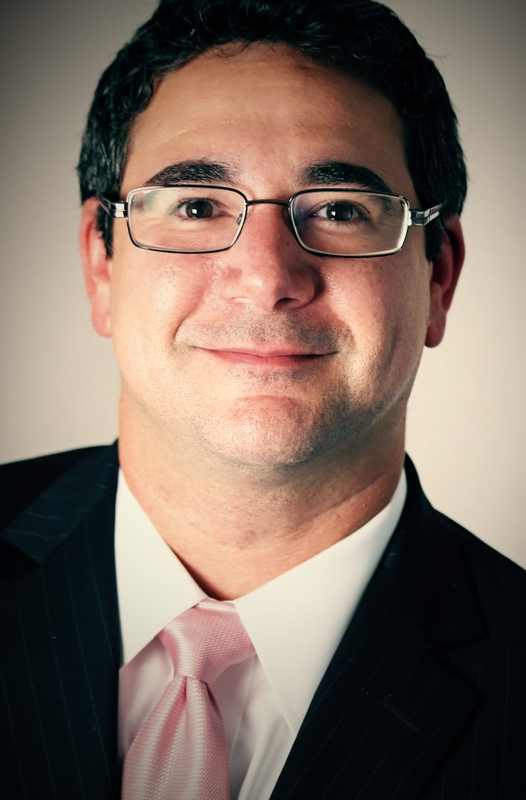 James Robert Caves, III is an attorney with the law firm of Becker & Poliakoff, P.A., which represents community associations throughout Florida, with offices in Ft. Myers, Naples and 11 other Florida cities. The firm focuses a substantial amount of its practice on condominium and homeowners association law. What are Pooled Reserves and How Do We Implement Them? 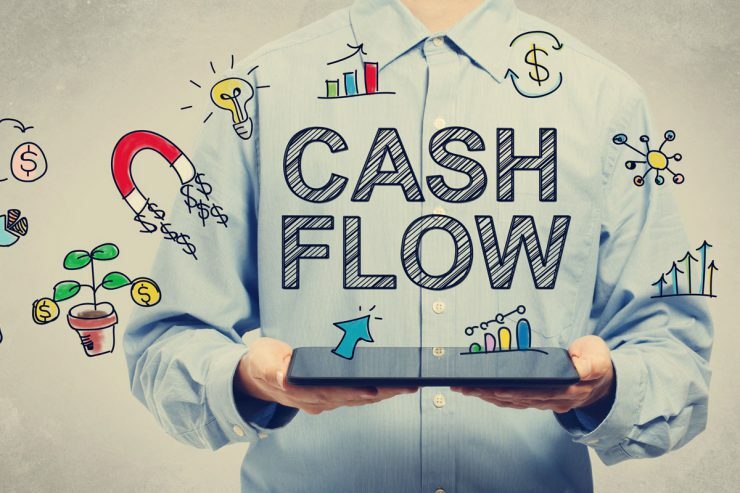 Cash flow funding of condominium reserves, often referred to as the “pooling” method of reserve funding, is a concept that was introduced many years ago through an amendment to the state’s administrative rules regulating condominium finances. Under the traditional, straight-line method, required reserve contributions are calculated by using a formula that divides the cost of replacing a particular item by the number of useful years that item has left, minus the reserve funds on hand for that item, with the result being the amount to fully fund that item for the next fiscal year. Each reserve component must be separately funded and must appear as a separate line item in the reserve schedule, which is part of the budget. Absent a majority vote of the unit owners, monies for each separate reserve item can only be used for that particular reserve item. Under the pooling or cash-flow method, each reserve item is still separately funded but the money is put into one account. The reserve schedule computation is a bit more complicated and typically needs to be prepared by an accountant or reserve consultant. The basic theory is that the association attempts to predict the year a particular asset will require deferred maintenance or replacement, and a mathematical formula is then applied to calculate required contributions for each year. In theory, the money should be available when needed, with a lower contribution than required using the straight-line method. A pooled reserve fund can then be used for any reserve item as the need arises, creating more flexibility for the board, which most associations see as the main benefit, as opposed to having to take an annual owner vote for inter-fund spending when the straight line method is used. In other words, the board can use any money in the reserve fund for an earmarked item that is within the “pool.” Conversely, with straight-line funding, the board could not, for example, use money in the painting reserve to pay for re-roofing, unless a successful vote of the unit owners is obtained. The main benefit of pooled reserves is greater flexibility in how the money is spent. However, the same result can be accomplished by taking a yearly vote to permit the use of reserves for a non-scheduled purpose. There are a few negative aspects of pooled reserves, however. First, the formula is complicated and most volunteer board members, community association managers and lawyers do not possess the analytical skills necessary to compute the required charts. Second, since the funding is predicated on anticipated asset failure many years into the future, an imprecise science at best, there can be substantial underfunding if the actual cash flow deviates from the assumptions in the formula. As a result, there may be a greater likelihood of the need to adopt a special assessment. If your association currently uses straight-line reserve accounts, you would need approval of the unit owners (i.e. a majority of the owners who vote at a meeting where a quorum is attained) to put that money into the “pool.” Once the vote to switch to pooled reserves is successful, no further votes would be required in future years and the association could continue to operate under the pooling method. David G. Muller is an attorney with the law firm of Becker & Poliakoff, P.A., which represents community associations throughout Florida, with offices in Naples, Fort Myers and 11 other Florida cities. The firm focuses a substantial amount of its practice on condominium and homeowners association law. The recent and devastating death of Shizuka Matsuki, a Florida woman attacked by an alligator, has alarmed and dismayed Floridians while raising many questions for community associations and their residents about alligator safety measures. Floridians are understandably fearful of alligator attacks due to the widespread prevalence of alligators in our state (similar considerations apply to less common and more localized crocodile populations in coastal areas). The disturbing details about the attack bring to mind the horror experienced in 2016 when a child, Lane Graves, was killed at a resort lagoon. While these types of attacks may not happen very often, even a single person or pet taken by an alligator is far too many. 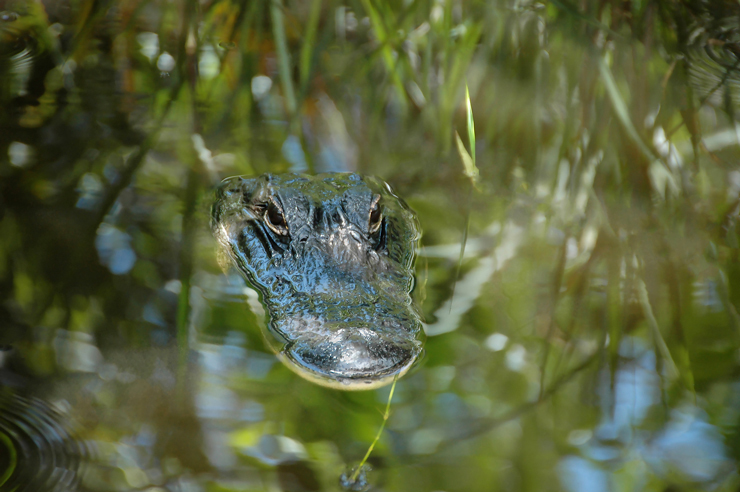 For community associations maintaining the areas abounding bodies of water that are known possible alligator habitats (or at least areas they may occasionally frequent), safety is the primary concern. Associations do not and should not assume a duty to act as protectors and insurers of resident and/or invitee safety when it comes to wildlife; however, associations should, with advice of counsel and in consideration of insurance coverage requirements, take reasonable measures to warn residents and invitees by posting signage regarding the presence of alligators. In addition to signage, associations can, but are not required to, provide barriers (such as fencing) that prevent access to known areas of alligator habitation, while taking care to comply with requirements in the governing covenants and restrictions applicable to any “material alterations” or improvements of the property administered by the association. Association directors and management personnel should educate themselves and can adopt policies to address the presence of alligators (and other dangerous wildlife). These policies can include contact information for appropriate agency hotlines, such as the nuisance alligator hotline of the Florida Fish and Wildlife Conservation Commission (“FWC”), the administrative agency that handles alligator conservation and removal. The hotline can be reached at 866-FWC-GATOR (866-392-4286). The policy can provide for appropriate animal sighting protocols, such as a requirement that residents and guests report sightings to management in writing, mass notification to residents of alligator sightings, immediate calls to the FWC hotline, strict rules against engagement by unqualified residents, owners, invitees, or association or management personnel, etc. The association can also provide educational materials to new owners and residents regarding the potential or known presence of alligators, including a link to the website for the FWC (www.myfwc.com). Associations with websites should strongly consider including links to these resources. Again, legal counsel should be consulted to discuss the best way to enact these types of policies. Legal authorities concerning an association’s duties and liabilities relating to this issue are scarce. For example, there are no Florida statutory duties governing or requiring association signage relating to this issue (an issue the Florida Legislature may wish to address), and case law regarding alligator attacks has generally concerned itself with liability to invitees, a group that may be treated differently than residents. Under a longstanding doctrine concerning animals ferae naturae (wild animals) various cases hold that property owners do not have a general duty to invitees to anticipate the presence of alligators (or other dangerous wildlife) or to take extraordinary measures to protect invitees from wildlife, especially when that wildlife is in its natural habitat. However, this doctrine does not necessarily override competing negligence doctrines concerning a reasonable duty of care to maintain the premises in a reasonably safe condition in light of knowledge of a foreseeable risk of harm. Accordingly, there is a potential duty to warn (and possibly a duty not to actively encourage or invite access to areas where alligators are known to frequent) if there is knowledge about the ongoing presence of dangerous wildlife. For example, in a 2011 appellate case in Georgia that addressed the liability of an association to a house sitter attacked by an alligator, the appellate court permitted the plaintiff to survive a summary judgment motion by the association (i.e. – their case had legal merit and sufficient factual evidence that they could go to trial). The appellate court was then reversed in a Georgia Supreme Court decision that found that the house-sitter assumed the risk in walking by the lagoon at night with knowledge of the potential presence of alligators. While based upon specific local Georgia statutes and doctrines and not necessarily binding on Florida Courts, the decision illustrates a situation in which a jury could potentially find a breach of the association’s duty to warn in relation to an alligator attack and the type of knowledge of the threat that would prevent such a case from going to a jury. The association at issue did in fact have a policy for frequent alligator removal, but did not have signage that could have warned the house sitter. Notwithstanding these issues and uncertainties, associations should work with counsel to focus on reasonable policies to attempt to avoid these types of tragedies, by establishing a plan in the event of alligator sightings, education and notice, and signage that warns residents and invitees of potential alligator dangers. Jonathan Goldstein is a partner with Haber Slade P.A. Goldstein’s practice includes community association law, real estate, construction, and commercial litigation. His email is jgoldstein@dhaberlaw.com. The issue of whether a chapter 558 notice serves as a “claim” under a commercial general liability (“CGL”) policy, such as the one issued by Crum & Forster Specialty Ins. Co. (“C&F”) in Altman Contractors, Inc. v. Crum & Forster Specialty Ins. Co., No. SC16-1420, 2017 WL 6379535 (Fla. Dec. 14, 2017), has finally been resolved and construction defect claimants can expect earlier participation from their carriers. Prior to the Altman decision, homeowners and/or condominium associations were frustrated during the chapter 558 process after sending a notice of claim because insured construction parties could not get insurers to become involved in pre-suit negotiations. Such a result was antithetical to the purpose of chapter 558 – which was instituted specifically to streamline the construction defect claims process and encourage early alternative dispute resolution. In Altman, the following question was presented to the Florida Supreme Court: “Is the notice and repair process set forth in chapter 558, Florida Statutes, a ‘suit’ within the meaning of the CGL policy issued by the insurer, C&F, to the general contractor, Altman Contractors, Inc. (“Altman”)?” The Florida Supreme Court recently answered in the affirmative and held that the notice process set forth in chapter 558 does indeed constitute a “suit” within the meaning of the CGL policy at issue – which in turn means that insurance carriers can no longer sit back following receipt of a chapter 558 notice and must instead take an active role earlier in the process. It is also noteworthy that since the Notice of Claim under chapter 558 is included in the policy’s definition of “suit” as an “alternative dispute resolution proceeding,” the insurer’s consent appears to be required in order to invoke its duty to defend the insured throughout the pre-suit process. In Altman, the Florida Supreme Court noted that “chapter 558 does not place any obligation on the insured to participate in the chapter 558 process. The chapter 558 framework has never been anything other than a voluntary dispute resolution mechanism on the part of the insured, despite its requirement that the claimant serve the insured with a notice before initiating a lawsuit.” Given that involvement in the chapter 558 pre-suit process is voluntary as opposed to mandatory on the part of the insurer, it remains to be seen whether insurance carriers will provide consent to participate in the process. Nevertheless, upon receipt of a chapter 558 notice, it behooves contractors and subcontractors to tender the notice to their insurance carriers. It is in the insured-contractor or insured-subcontractor’s interest to encourage its insurance carrier to engage in the chapter 558 pre-suit process. Absent the insurance carrier’s involvement in the chapter 558 pre-suit process, the insured will be forced to incur its own costs and fees if the insured chooses to participate in the process without the consent of its insurance carrier. In the event that the insurance carrier fails to provide consent to engage in the chapter 558 pre-suit process and defend the insured, it may be in the insured-contractor or insured-subcontractor’s interest to litigate the matter because the insurance carrier’s duty to defend is then triggered and the insurance carrier will be forced to investigate the construction defect claims – shifting the financial burden from the insured-contractor or insured-subcontractor back onto the insurance carrier. In light of the foregoing scenario, it is more likely that the insurance carrier will be inclined to give consent to avoid the costs of litigation and to attempt to expeditiously settle the matter – but that is yet to be determined. In light of the foregoing, it is imperative that individual homeowners, homeowner associations and/or condominium associations, along with their experts, prepare detailed inspection reports that set forth the various construction defects affecting their property, what resulting damage is occurring as a result of those defects, the locations of the defects throughout the property, and determine compliance with the applicable building code, plans, and specifications. By virtue of more detailed reports in compliance with the requirements of chapter 558, it seemingly becomes more likely that construction defect disputes will result in settlements at an earlier stage – thereby saving the parties exorbitant amounts of money that otherwise would be expended in litigation. David B. Haber is the founding partner of Miami-based Haber Slade, P.A. He is a commercial litigator with 30 years of experience who has handled multiple complex commercial disputes throughout Florida, including complex commercial litigation, construction, and condominium and homeowners’ association disputes. David can be reached at dhaber@dhaberlaw.com. Frank Soto is a partner with the firm. He focuses on construction litigation. Frank can be reached at fsoto@dhaberlaw.com. Brett Silverberg is a JD/MBA student at the University of Miami and a law clerk at Haber Slade. The firm is on the internet at www.haberslade.com. You (the association and its management team) must promptly survey the properties for potential and/or actual damages that need to be reported and addressed. Document all actual and potential damage with photographs and video. This documentation should be accompanied by confirmation of the time, specific locations, and the person taking the photographs and video. Additionally, this documentation should be compared against the pre-storm documentation in order to prove that the damage did not exist prior to the storm. The “before” and “after” documentation is critical to fighting against insurers’ potential defenses. Associations should also gather any applicable maintenance records, vendor and repair records, and related documentation in order to establish the condition of the property pre-hurricane and the association’s regular maintenance practices and procedures. This helps prove that the damage caused by a hurricane (or similar insurable event) was not a “pre-existing condition” and/or a result of “lack of maintenance” at the property. Associations should work with their legal counsel to review the Declaration and property boundaries in order to distinguish any reported unit owner property damage from the association’s property and common elements/limited common elements. These distinctions are important for both the insurance claim process and identifying the party responsible to repair. Make sure the association has updated copies of all applicable policies (part of the official records). Consult with your legal counsel in order to evaluate if the damage might apply under the flood policy, wind policy, and/or property policy. Depending on the type of damage, your claims may apply to multiple separate insurance policies. For each policy, create a checklist of the requirements for making a claim and the insurer’s deadlines that must be strictly complied with. Locate the section(s) in your policies titled “Duties of the Insured” a/k/a “Duties in the Event of Loss.” Add these items to your claim checklist and make sure to calendar all time deadlines. After the storm event, associations must provide written notice to their insurance companies as soon as possible. Notice merely to your insurance agent is not notice to the insurance company. No association wants an otherwise legitimate claim to ultimately be denied because it failed to timely notify the insurance companies in writing. Your claim checklist for each policy should include the name, address information, and policy specific requirements for providing written notice of the claim. Additionally, notify the owners/residents to promptly document and file their own individual insurance claims for their own insured property (finishes, property, and other items within the unit boundaries). All too often, an association’s property management and/or directors erroneously believe the adjuster from the insurance company is on the association’s team in this process. Wrong! The adjuster sent by the insurance company does not work for you and is not a neutral party. The adjuster is paid by the insurance company and is often a third party contractor. Keep in mind the adjuster is primarily attempting to assist the insurance company to limit the loss/exposure of the company. All-important communications with the adjuster and insurance companies should be timely documented in writing. Internal emails and other communications between the board of directors, property management, and the association’s legal counsel should not be inadvertently shared with the adjuster and/or insurance company. Consult with your legal counsel before responding to information requests and have your legal counsel instruct the adjuster and insurance companies to direct all communications about the claim to legal counsel. You may need to make some interim repairs at the property before your claims are fully resolved. After the damage to the property has been evaluated and documented, it is important for associations to take the necessary steps to mitigate further damages and losses – – without prejudicing your rights under the applicable insurance policies. Make sure to provide written notice to your insurers regarding: (i) your proposed interim repairs and mitigation steps; (ii) the estimated costs; and (iii) confirmation that the insurer consents to you proceeding with the interim repairs even though your claim is still under review. Document the interim repairs with photographs, videos, estimates/bids, purchase order, invoices, as well as proof of payments. Emergency mitigation should always be performed as soon as possible (i.e., covering open windows and/or roof openings). For non-emergency repairs/remediation, you should solicit at least three bids/estimates for each scope of work (unless you cannot find three bidders or in an emergency). The Board is not required to select the lowest bid – – and should be weary of bids that are unusually low compared to the others. For larger repair projects, it is important to coordinate the bid and contract requirements with your legal counsel before sending it to prospective bidders. Including the association’s contract requirements and standard clauses in the request for bids will help reduce contract negotiation and preparation time. There are related issues that are also very important to consider, such as: (i) does your association have a loan with a lender and thus have borrower specific duties under the loan documents? 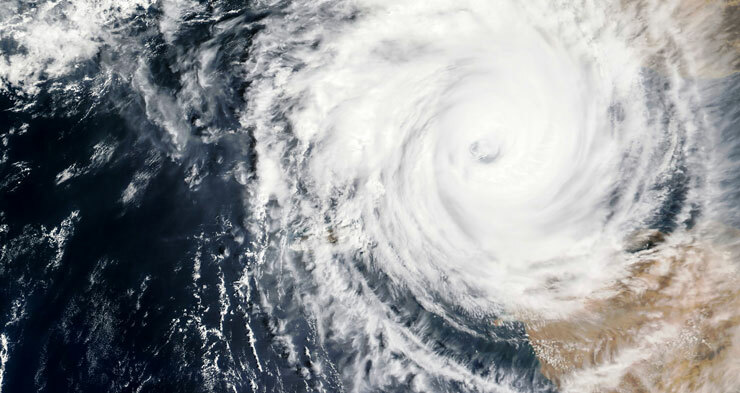 Associations should carefully review their loan documents with legal counsel in order to ensure compliance with the lender specific issues; and (ii) many management companies include a provision in their standard management contract that the association is required to pay the management company additional compensation in the event of significant repair projects after insurable events (a/k/a Hurricane Irma). This is an important factor for the Board to consider when preparing repair budget(s). David T. Podein is a partner at the law firm of Haber Slade. He concentrates his practice in the areas of real estate leasing, financing, and acquisitions/closings, real estate development, condominium and community association law, and construction law. David can be reached at dpodein@dhaberlaw.com. The firm is located on the internet at www.haberslade.com. Are you concerned that the developer of your condominium did not deliver on the promises made to you when you purchased your condominium unit? Are you concerned with the construction of the condominium in which you live? For most individuals, the purchase of a condominium unit can be their most important investment. However, many of the decisions impacting this investment are not up to the owner of the unit, but rather, are left up to a board of directors controlling the association. At a specified time, the developer of a condominium is required to relinquish control of the association’s board of directors in favor of the unit owners. The turnover of an association from developer to the unit owners presents the first opportunity for the association’s board to hire a lawyer, an accountant, and an engineer to perform important and time-sensitive inspections of the condominium. These inspections will identify construction defects and other concerns that may exist. As such, it should not be surprising that a developer would want a “friendly” association board of directors following turnover. But imagine the havoc an unscrupulous developer could inflict if the association’s newly elected board members—or the attorney and engineer working for the unit owners—have financial ties to the developer. A recent Miami-Dade Grand Jury report found that there was extensive fraud, mismanagement, stacking of boards, and conflicts of interest among condominium association boards. Such misconduct is not limited to Miami-Dade, however. Perhaps surprisingly, one of the largest public corruption cases set in the fast-paced, scheming neon desert notoriously dubbed “Sin City” did not involve the usual Las Vegas suspects, but rather a contractor, a lawyer, and a stacked board of condominium directors. In 2015, Leon Benzer, a construction company boss, was sentenced to 15 ½ years in federal prison for orchestrating a scheme to take control of association boards for the purpose of channeling construction defect repairs to Benzer’s company. Benzer’s scheme involved a network of recruited purchasers and real estate agents who would get elected to association boards, hire Benzer’s attorney, and award lucrative contracts to Benzer’s construction company. Through these unethical practices, these individuals violated the duties owed to the association and its unit owners. Condominium unit owners who serve on the board of directors are considered shareholders of the association, and act in a fiduciary relationship to each owner. In such relationships, the law demands a higher than ordinary degree of care from each director and officer, with Florida law specifically demanding directors to discharge their duties in good faith. Simply put, directors should act to protect the best interests of the association and its unit owners, rather than their personal interests or those of affiliated third parties. The actions of the board members in Benzer’s scheme were in complete disregard of the unit owners’ rights, as they participated in rigging elections and seeking only personal gain. In order to avoid a Benzer-type scheme, it is critical for unit owners to exercise due diligence in selecting truly independent individuals to become board members to represent the best interests of all the unit owners at the time control of the association is transferred from the developer. Since Florida law permits condominium association boards to settle claims concerning monies owed from the developer and matters of common interest to the owners, including construction defect claims, it is even more vital to ensure that an association’s board, their attorney, and engineer are not being led by ill-intended individuals to unscrupulously settle claims for pennies of their real worth, accept cosmetic repairs that do not fully address the underlying defective condition, and waive association claims for latent defects. For further information regarding the turnover process, self-dealing, conflicts of interest, and the duties of your board of directors, please submit your questions on our website and get the information you need to make sure you are safeguarding your investment. Nicholas Siegfried is a partner with the South Florida law firm of Siegfried, Rivera, Hyman, Lerner, De La Torre, Mars & Sobel, P.A. who has focused on community association and construction law since 2006. He is based at the firm’s office in Coral Gables, and the firm also maintains offices in Broward and Palm Beach counties, representing more than 800 associations throughout Florida. He may be reached at nsiegfried@srhl-law.com and at (305) 442-3334. Final Report of the Miami-Dade County Grand Jury Spring Term 2016, Addressing Condo Owners’ Pleas for Help: Recommendations for Legislative Action, at 1-31(Fla. Cir. Ct. Feb. 6, 2017). A copy of such grand jury report may be found at: http://www.miamisao.com/wp-content/uploads/2017/02/Grand-Jury-Report-Final.pdf. The trial court granted a motion to dismiss with prejudice after finding that the short-term rental use was residential rather than commercial. The First District Court of Appeal was asked to determine whether short-term vacation rentals violate restrictive covenants requiring property to be used only for residential purposes and prohibiting its use for business purposes. The Court focused on the actual use by the short-term renters (eating, sleeping, etc.) and not the hotel-like duration of the rental. The Court cited other case law holding that a rental, even a rental for profit, does not transform the use of a dwelling from residential to either business or commercial. 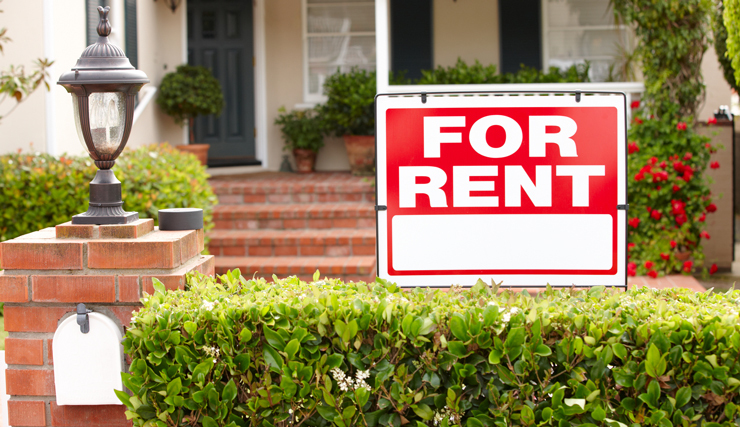 After all, even short-term renters are using the premises for typically residential purposes and not to run a business, and the fact that the owners of these units are deriving revenue from the rentals does not change the use of the premises from residential to commercial. Ultimately, the Appellate Court simply could not rely upon the “no business use” restriction in the restrictive covenants to prohibit short-term rental activity. Had the association attempted to rely on leasing restriction rather than a “no business use” restriction, would things have turned out differently? Perhaps the most telling and most instructive comment from the court in the Santa Monica Beach case was the observation that the association had no specific restriction on short-term rentals. 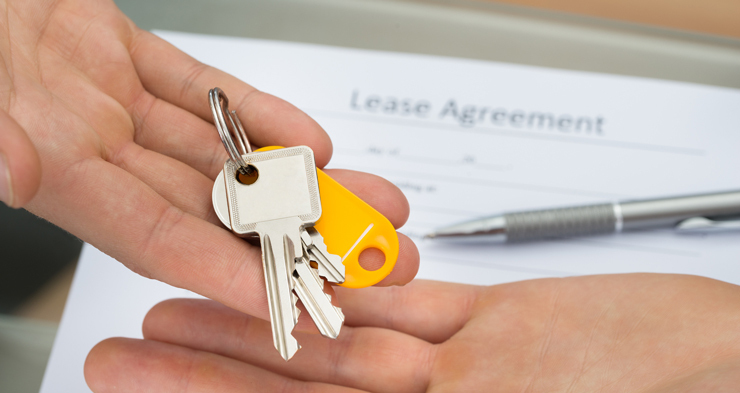 Many communities have restrictions on leasing in their governing documents, which can include minimum and maximum lease terms, a limit on the number of times per year an owner can rent, to an overall cap on the number of properties that can be leased at any one time. Enforcement of short-term rental restrictions against this kind of transient rental can be very difficult because the tenant comes and goes before there is any opportunity for enforcement action rendering the violation moot. However, an action or activity, like repeated short-term rentals, that is capable of repetition but evading review would be an exception to the mootness doctrine. In the Santa Monica Beach case, if the association had short-term rental restrictions in its governing documents, an owner’s pattern of renting out the dwelling in violation of the minimum lease terms could have been used to seek injunctive relief against future violations. The goal for most associations, however, is to deter the activity rather than having to overcome hurdles in court. In some communities, it might make sense not to prohibit short-term rental activity, but to regulate it and perhaps even monetize it to defray the association’s operating expenses. Fees can be charged for registration, parking, and the use of recreational amenities. It might also make sense for the association to operate a mandatory rental pool in order to control all aspects of rental activity from booking to arrival and departure. For those communities who do wish to restrict this kind of activity, the starting point is to ensure that their governing documents contain a clear, unambiguous restriction which defines engaging in Airbnb activity as a violation of the contract between the association and its members. From there, the association can proceed to impose fines, suspend use rights, put the short-term rental websites on notice of the ineligibility of properties in the community to offer these services, and/or pursue arbitration or injunctive relief. There is a logical argument to be made that local governments have a dog in this fight and should be regulating and/or restricting short-term rental activity. Airbnb and similar companies understand that their business model can be greatly impacted by local ordinances, so they have been proactive in seeking out legislators who will ensure such actions are not permissible. In the 2017 Florida Legislative Session, two vacation rental bills were introduced that primarily impact local governments. The goal from Airbnb’s standpoint is to preempt local governments from regulating vacation rentals. Given Airbnb’s success so far in protecting its business model by putting the brakes on those who might oppose them, it only makes sense that private residential covenants might come up on their radar in the near future. Associations, particularly those in tourist-heavy locations, would be well-advised to review and amend their documents now to address this issue as waiting too long might result in an inability to impose meaningful restrictions. The takeaway from this first appellate case regarding the inevitable tug of war between the desire of some association members to monetize their properties and the association’s desire to protect the residential nature of the community is that in order to curb or prevent Airbnb activity in a private residential community, the governing documents must tackle the problem head-on. No beating around the bush or relying on existing restrictions which were drafted years before the Airbnb business model came into existence. Donna DiMaggio Berger is a shareholder at the community association law firm of Becker & Poliakoff and has represented all types of shared ownership communities throughout Florida. Berger is a member of the College of Community Association Lawyers (CCAL), a prestigious national organization which acknowledges community association attorneys who have distinguished themselves through contributions to the evolution or practice of community association law and who have committed themselves to high standards of professional and ethical conduct in the practice of community association law. Berger can be reached at (954) 364-6031 or via e-mail at dberger@bplegal.com.